In Part 2 of my continuing saga series of tips for better baking, today I’m going to focus on dairy products and other liquids in your baking; how to substitute, when to substitute, and most importantly, when NOT to! And with this post and forwards, I’ve decided that, as a “prize” for my readers making their way through this post, I will add a recipe at the end that has to do with the subject at hand. 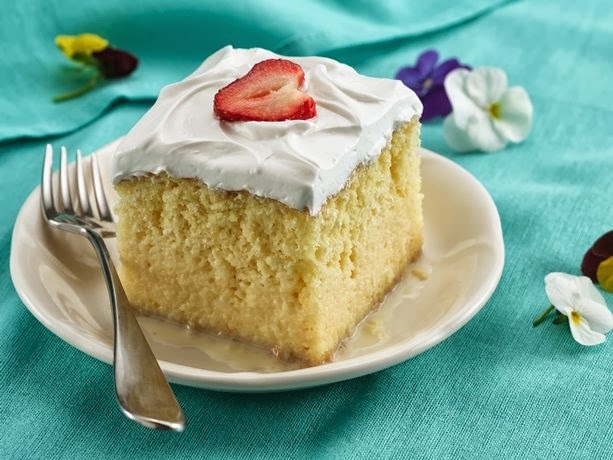 The best baking recipe I can think of right now that has everything to do with dairy is the deliciously rich Tres Leches (“Three Milks”) cake! Have a look at the bottom of this post for the recipe. Liquids in your baking recipes have a very important purpose; they are considered the “moisteners”, obviously, but they also have a host of other jobs to do: water and milk enhance flour’s gluten development and other starches’ gelatinization (such as cornstarch, tapioca, etc. ), and they help set a baked good’s structure. 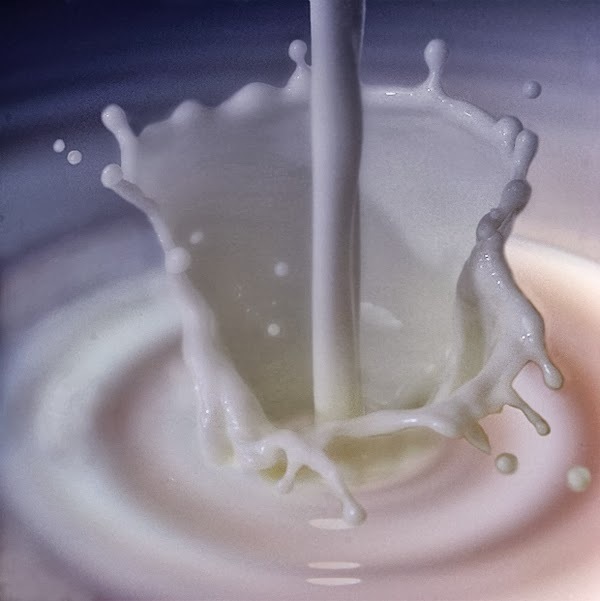 Milk is used for flavoring, and the sugars in the milk (the lactose) sweeten and help with fermentation. But, like all good things, too much liquid in your recipe is not good for you either; it can cause a baked good to collapse as it cannot support its own weight, or the batter will be too thin, meaning there is not enough leavening in the product to make it light and airy, leaving the final baked good too heavy. The perfect balance of liquid offers both structural support and moistness, which our taste buds perceive as tenderness. As with most other baking ingredients, milk and other liquid dairy and non-dairy products should be at room temperature when added to a recipe. 20-30 minutes on the counter prior to adding it to your recipe should be sufficient time to bring it up to temperature. Whole milk (known as homogenized or “homo” milk in Canada) is higher in total fat (3-4%) than low-fat or skim milk (0-2%). If a baking recipe calls for whole milk, you can probably substitute a low-fat milk variety like skim, 1% or 2% fat; baked items such as cakes and cookies can usually tolerate the use of low-fat milk. However, be cautious about substituting skim milk in pudding, custard and sauce recipes. These recipes rely on the dairy fat for added texture and flavor. When making a chocolate baked good, try substituting chocolate milk for the milk in the recipe. Mmmm-mmm, good! NOTE: Neither of these replace whipping cream. Plain yogurt can be substituted 1:1 for sour cream. 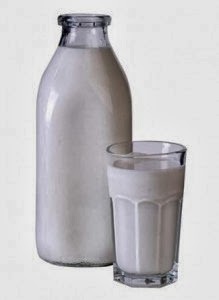 Cow’s milk can be substituted 1:1 for soy milk, rice milk, or other nut milk (such as almond); keep in mind, though, that, depending on the brand, rice milk can be thinner than cow’s milk and you may need to reduce the amount used in the recipe. For baking, you can add 2 or 3 extra tablespoons of cooking oil to help offset a watery consistency. Note: Milk substitutes may still have dairy ingredients in the product. Many brands claim to be dairy-free, but in truth they only eliminate lactose, a milk sugar. Dairy protein (casein) is commonly included in both soy and rice milks. 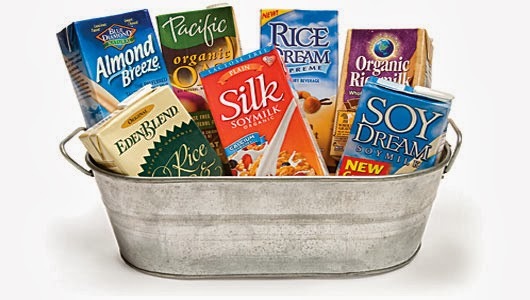 Also, many brands of rice milk are not gluten-free due to their manufacturing process. Always confirm the status of rice or soy milks if you are on a gluten-free and/or dairy-free diet. For a non-dairy replacement for cream in a baking recipe, you can refrigerate a tin of high-fat coconut milk overnight, and carefully open (without shaking the tin) to strain off the rich coconut milkfat that rises to the top. 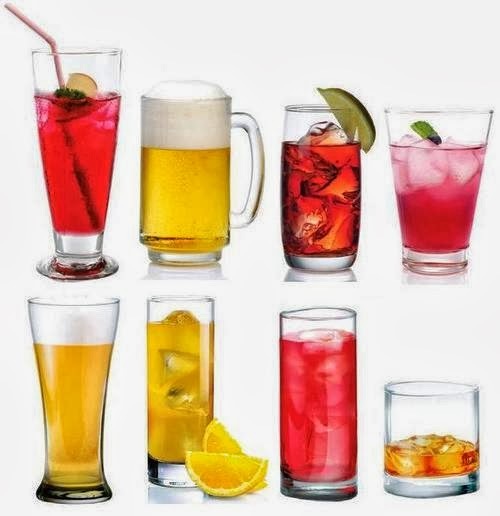 Fruit juice can be used as a replacement, but can impart sweetness. Juice is also acidic and is best served in recipes that include baking soda. The amount used will depend on the thickness of the juice. Water is commonly substituted for milk in recipes. Add water last to the recipe, stirring in small amounts until the proper consistency is achieved.The final product may not taste as rich, however. Alcohols can make some really excellent baked goods! It goes without saying that beer makes some pretty amazing bread, but try substituting champagne for apple or white grape juice in a baked good; I made a Champagne mousse in Pastry School that was gorgeous! Or, here is a marvelous compendium of 100 recipes using leftover red wine, several of which are baking recipes, by recipegirl.com! Fabulous. However, you may want to go the other direction, and substitute a non-alcoholic liquid in a recipe. When making substitutions for alcohols, it is important to keep the volume of liquid in the recipe the same as originally called for. 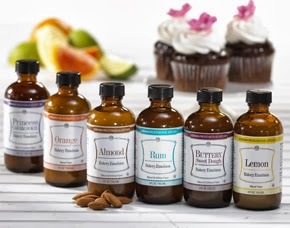 When using flavored liqueurs, bakers extracts (also called emulsions) can be substituted if you make up the balance of the liquid with water. For example, you could use a ratio of 1 part extract to 3 parts water for the same flavour profile without the added alcohol. 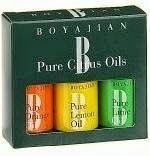 Note: do not confuse extracts with oils (lemon oil, orange oil, etc) or candy flavouring; oils are far weaker than extracts, and candy flavourings are far stronger than extracts. Strong brewed coffee can easily be substituted with instant; just add 1 tsp instant coffee granules per 1/2 cup of hot water needed. 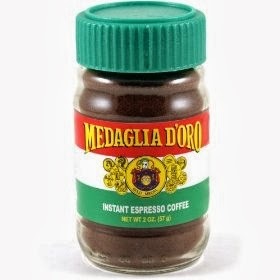 If you have access to instant espresso powder, this is also an excellent substitute, and really brings out the flavour of chocolate! Lastly, I know I’ve said this before, but it bears repeating: make sure all of your liquids are room temperature when you add them to your baking recipe. If they are too cold, the batter may “seize”, leading to an overly stiff product that will not bake up properly. An overly warm liquid (such as insufficiently cooled coffee), will melt some of the other heat-sensitive ingredients in your recipe, as well as prematurely activate the gluten and gelatinize the starches in flours and starches, which will also lead to a sub-optimal product. Now, as promised here is the recipe for the Tres Leches Cake; I made this recipe for a cake commission some time ago…one of my first commissions, in fact! I was absolutely astonished that the cake I had made could hold so much liquid as I was pouring, and pouring, and POURING the milk mixture overtop of it! Be reassured, however, the cake will hold all this liquid, and be the better for it. This cake recipe is very popular in South America. Preheat oven to 350°. Grease and flour a 13”x9” baking dish. Beat butter and sugar at medium speed with an electric mixer until fluffy; mix in eggs and vanilla. Combine flour and baking powder; add gradually to butter mixture, stirring to blend. Pour batter into prepared dish, and bake at 350° for 30 minutes or until wooden pick inserted in center comes out clean. Pierce cake with a fork all over when finished. Either remove cake from pan and place on final serving plate (preferably rimmed), or leave in pan for presentation. Combine the 3 milks, and pour on top of the cake; cool to room temperature. Cover and refrigerate until well chilled, at least 4 hours or overnight. Beat whipping cream, icing sugar, and vanilla at medium-high speed with an electric mixer until thick; spread over cake, decorate as desired, and serve. Previous Post Commission Tales: United Way Rocks!